These kits offer common instruments used for specific applications, and they are offered at a discounted price. Did you know you can customize your surgical instrument kits and save over 20% off the cost of purchasing the individual instruments? 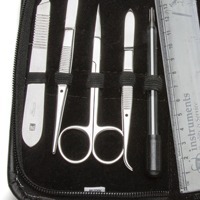 Just find a surgical kit that's similar to what you want and decide which instruments you would like to change. Then, submit your custom package for a quote online or by telephone. Note: Dumont instruments excluded. 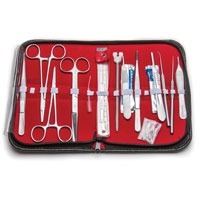 Choose a surgical instruments kit from our catalog or online. Determine the instruments you want to modify in the kit and call us at (866) 606-1974 for a quote. 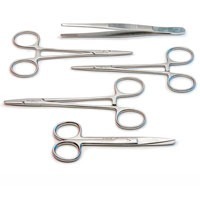 Choose a surgical instruments kit from our website and clickAdd to Cart/PO/Quote. On the next page, click Check Out. Enter your instrument changes into the Comments and Special Instructions text box. For the Payment Type, selectQuote Request and submit your order. We will contact you with the discounted price for your customized kit. Save money by buying surgical kits. 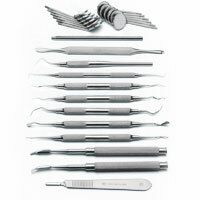 These dental kits include a basic extraction kit and a periodontal surgery kit. These kits include the surgical instruments that are typically used in these surgical procedures. NOTE: WPI surgical instruments are for laboratory research applications. They are not certified for use on humans. Save money by buying surgical kits. 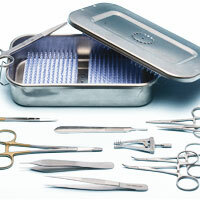 These miscellaneous surgical kits contain products for small animal surgery. 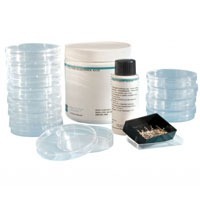 For example, we include the silicone dissecting pad kit in this category. NOTE: WPI surgical instruments are for laboratory research applications. They are not certified for use on humans. Save money by buying surgical kits. These surgical kits are designed for students of various life sciences, including botany, anatomy, entomology and veterinary sciences. NOTE: WPI surgical instruments are for laboratory research applications. They are not certified for use on humans. Save money by buying surgical kits. We offer a variety of surgical instrument kits for small animal surgery and life science researchers. NOTE: WPI surgical instruments are for laboratory research applications. They are not certified for use on humans.